If your wife asks you to help her repaint any part of the house, you know what you’re in for a heck of a job. 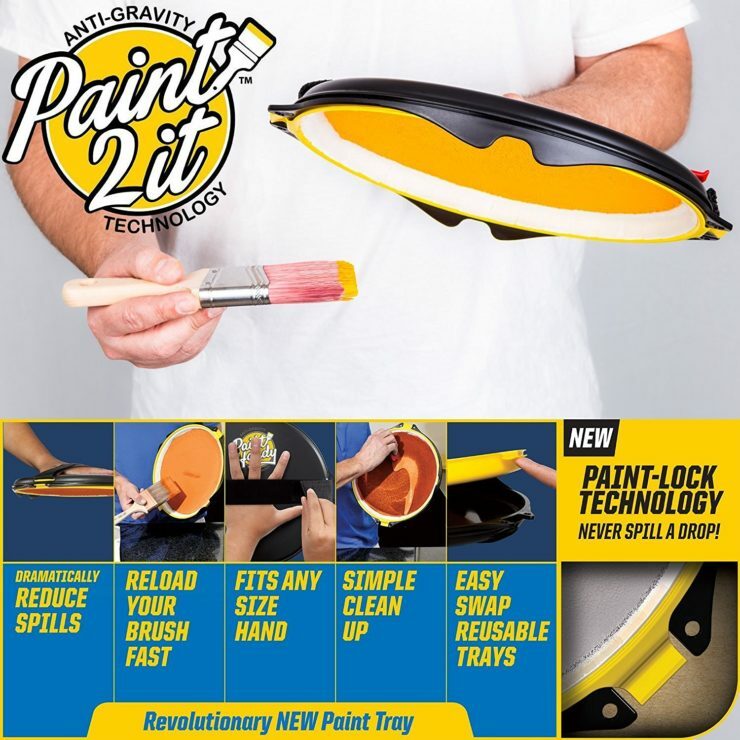 Why not make your life a little easier with the Paint2It Pro, and “Anti Gravity Paint Tray Palette”. It’s a handheld palette that contains a special absorbing material that can hold up to 12 oz. of paint. You’re then free to walk around and reload your brush at will, without worrying about spilling anything on the floor. 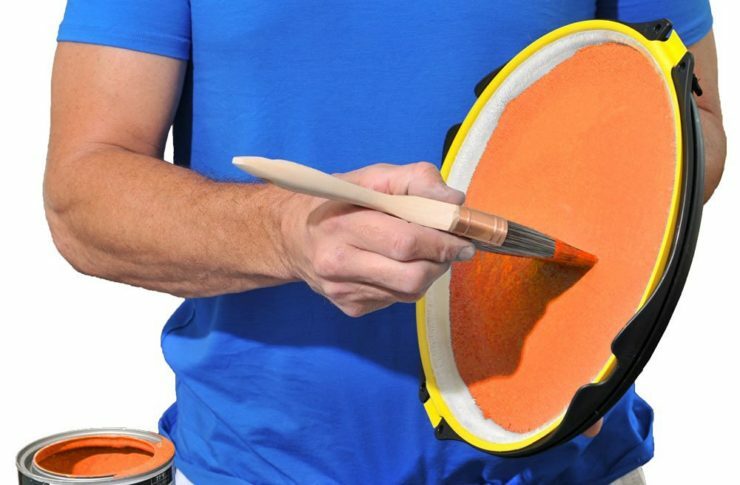 It can even hold multiple colors of paint without them mixing! The liner is washable and reausable, and the holding strap is adjustable to fit any sized hand. It’s $20. By David Ponce on 10/06/16 • Leave a comment! Two of the hottest items on the market these these, LEGOs and drones, combine in one kit called Flybrix to bring you the pleasure of assembling right at home. 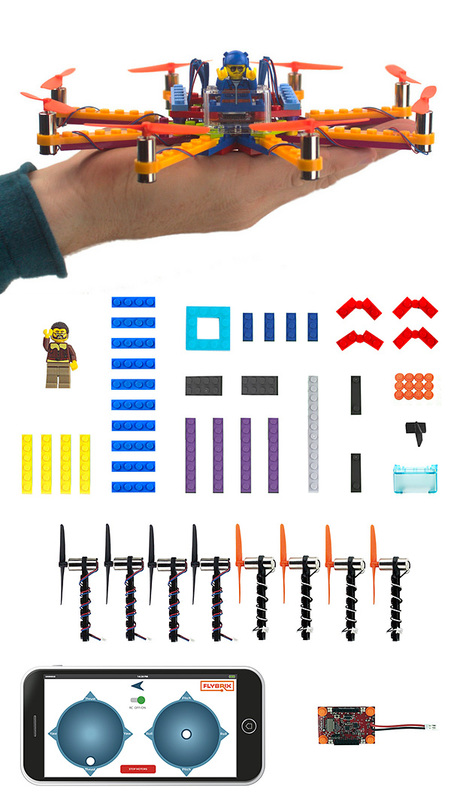 Each kit comes complete with everything you need to assemble a fully functional drone with LEGO bricks. The Deluxe Make Your Own Drone Kit Using LEGO® Bricks comes complete with the all the components including LEGO® Bricks, design plans, plus software you need to build your own quad, hex, and octo airframe designs! It also gives you the enhanced piloting option for flying your drones using radio control on top of the full Flybrix build-and-fly experience. No extra tools or supplies needed. Each kit contains over 50 LEGO bricks, batteries, propellers, motors, and literally everything for as low as $149 for the basic kit. 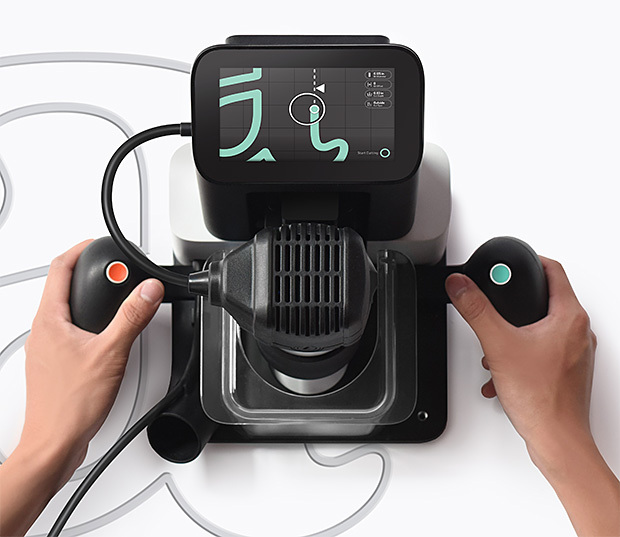 For an extra $40, you can get the Deluxe kit which adds a radio controller for added range. By David Ponce on 09/16/16 • Leave a comment! You might know that water, with enough pressure can cut through just about anything. 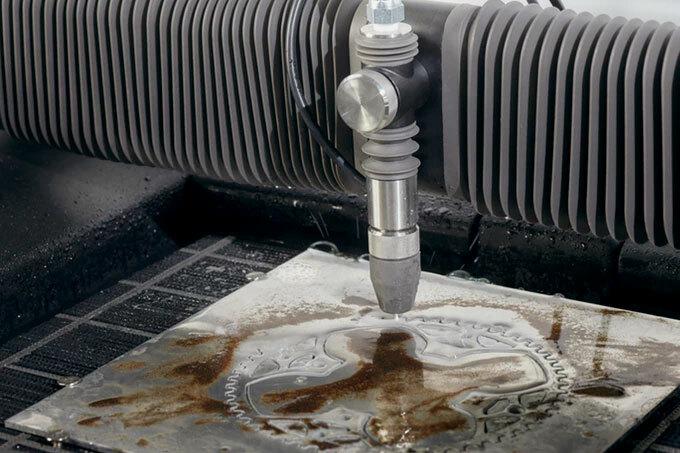 There are industrial water jet cutters that are used to make parts for a ton of household items, but of course these cost hundreds of thousands of dollars. 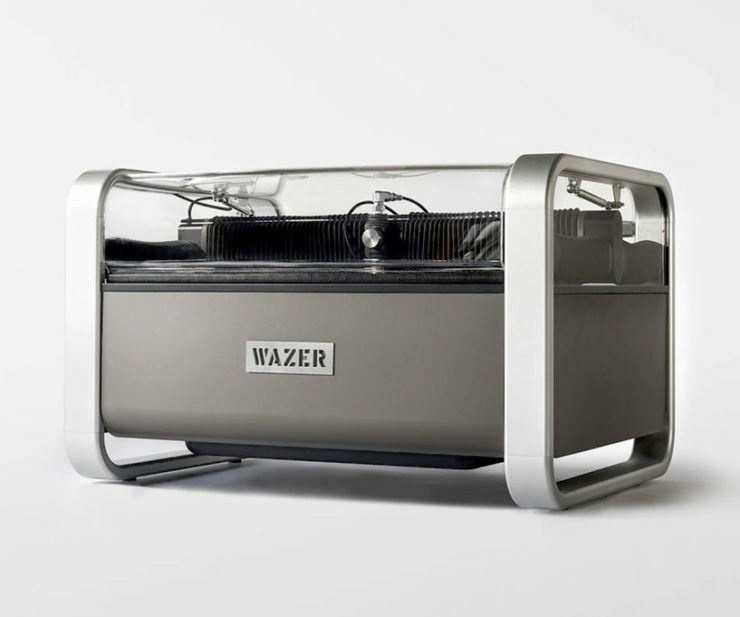 Well, it turns out that a device called Wazer can bring the same technology to your desktop for under $5k. It’ll cut through any material: metal, glass, stone, carbon fiber, ceramics, anything. 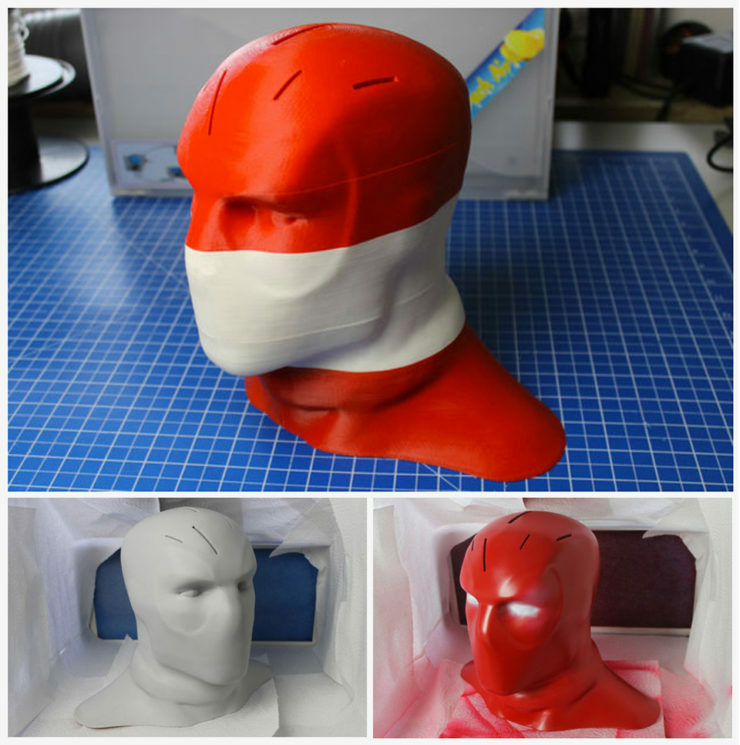 It’ll do it with millimetre precision, with no heat warping, requiring no ventilation and producing a smooth surface finish. For anyone with a workshop and a penchant for DIY, Wazer is a game changer. A $4,499 pledge will get you one, but you’ll sadly have to wait until December of 2017 to get your hands on it. By David Ponce on 05/19/16 • Leave a comment! There are those among us that enjoy tinkering with stuff. You know who you are. You see a bunch of objects and wonder how you can string them together to get them to do something. 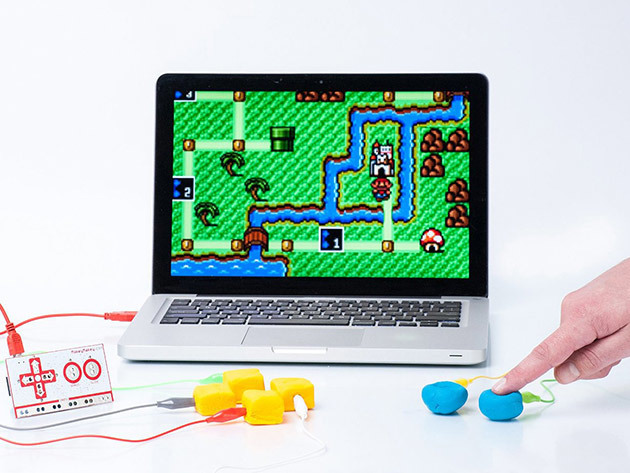 Well, for people like you, there’s Makey Makey Invention Kit: Collector’s Edition. 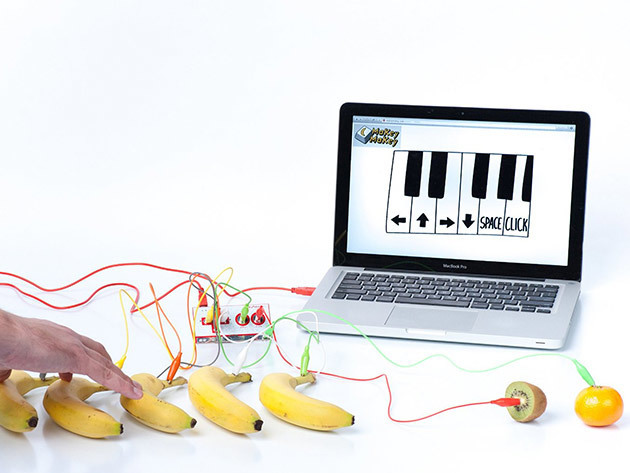 Imagine if you could play an online piano app, but instead of using your keyboard, you used bananas. Makey Makey makes this possible. Invent a banana piano, a Play-Doh game controller, an alphabet soup keyboard, or anything else your mind thinks up. Let your imagination loose and turn everyday objects into wonders of technology without any programming or engineering knowledge needed. 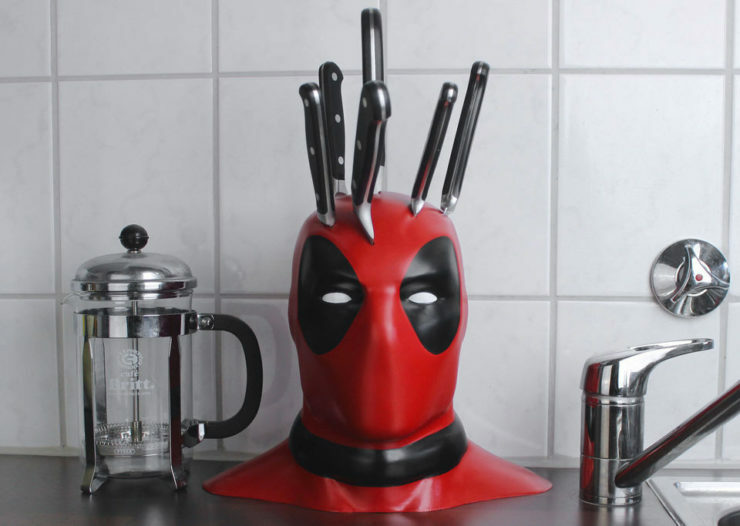 Normally $60, it’s $49.99 with today’s deal, shipped, as always, for free. Don’t go looking for this bike in your local motorcycle showroom; the Lazareth LM 847 is a one-off creation from Ludovic Lazareth, and if it ever sees a production line, we’ll be impressed. The fact that it mostly can’t be bought doesn’t stop us from being both shocked and awed at what he’s done. 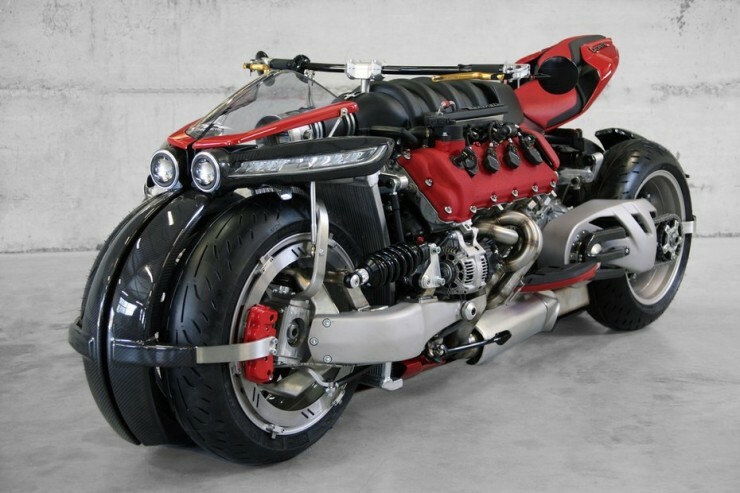 This beast features four single-sided swingarms, rim-mounted brakes, dual hub-centre steering and most importantly, a 4.7-liter Maserati V8 engine cranking out a ridiculous 470 horses. The tail end comes from a Ducati Panigale, and the transversely mounted rear shock is TFX, a shock absorber that looks like it’ll absorb bumps on the road just as efficiently as it’ll prevent both wheels from moving relative to one another, a potentially questionable design choice. But hey, when you’re Frankensteining a beast of this caliber, you’re clearly going for the kitchen sink approach rather than crafting a finely engineered riding machine. Stick it to the man, and make your own damn popsicles at home. Why settle for highly sugary, artificially flavoured candy when you can cool off from the summertime heat with your own, made-at-home popsicles? 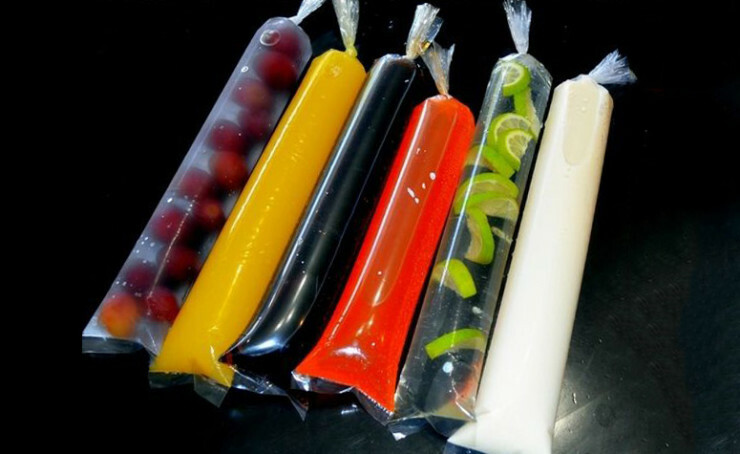 The FRIOPOP bags are just, well… popsicle-shaped plastic bags that you can fill up with whatever tasty concoction you want. After a couple hours in the freezer, just unwrap and enjoy. They come in one size, 8oz., but if you want smaller ones, just, you know, fill them up less. And of course, you wouldn’t expect this stuff to be expensive, and you’d be right. It’s $7 for 100.